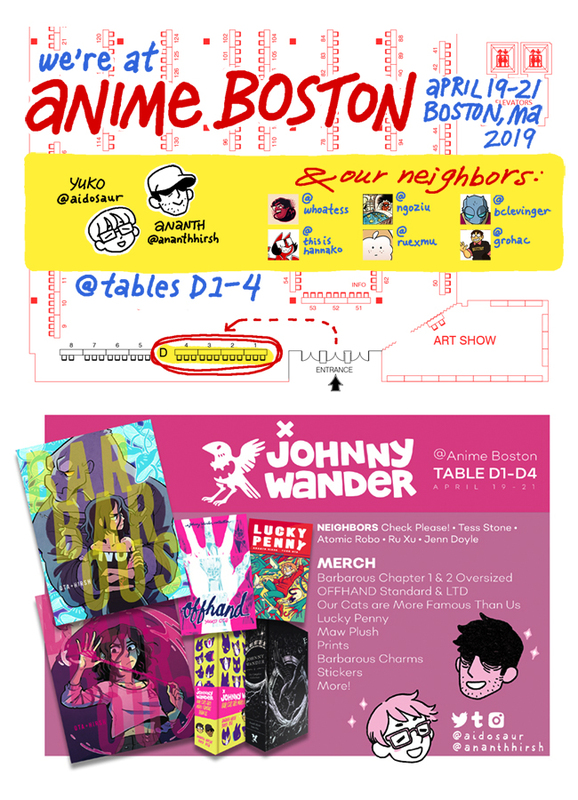 Johnny Wander - ANIME BOSTON! April 19-21! Find us at tables D1-D4! BARBAROUS NOMINATED FOR A REUBEN AWARD! Exciting! As always, thanks for reading!